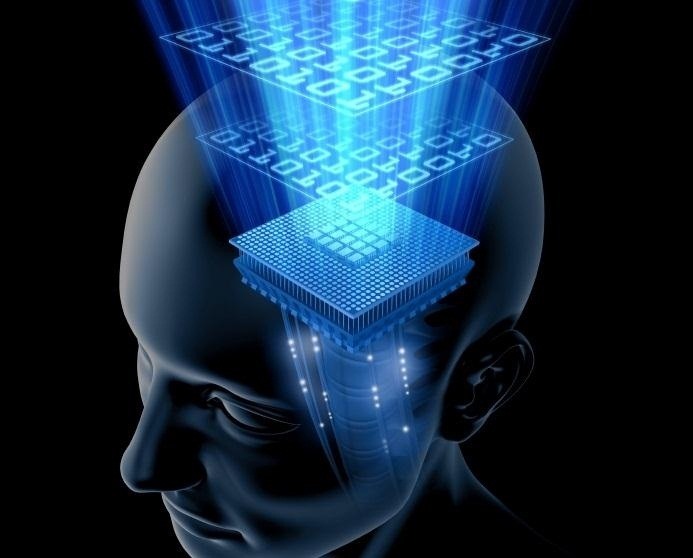 Unlike a brain, though, computers tend to collect information that might not be important. Not only that, but they can collect information that may be broken, outdated, and even already duplicated on the hard drive, taking up extra space and slowing down your machine. How can we solve the problem of making our computers run as smoothly as our super-computer brains? There's often tons of data sitting around that can be done away with to free up space on your hard drive and help your computer run better. For Windows, you can download a program to perform each of these tasks, but for Macs, there's usually a simple process involved. Here's how to get rid of the most common types of useless information. 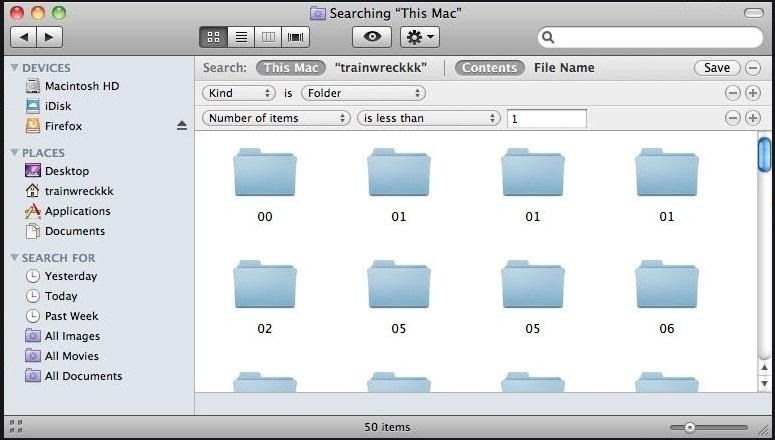 It's actually quite easy to find empty folders on your Mac. All you have to do is open Finder, then press Command + F to open Find. Under Kind, select Folder. Add another search criterion by pressing the + and choose Number of items, then set it to less than one. This should show you all the empty folders on your drive, so all you have to do is select them and delete. 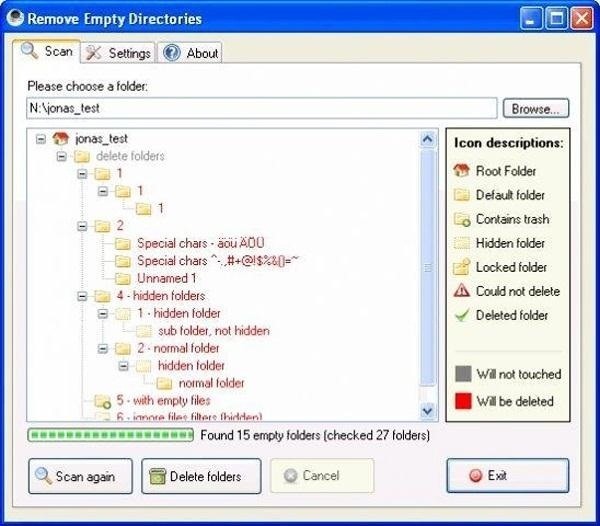 Download Remove Empty Directories, which searches your computer for empty folders. The program will show you all the folders on your system with nothing in them, and then let you choose which ones to keep and which ones to delete. When users switch computers, files can sometimes duplicate themselves. There are times when I forget whether or not I've downloaded a file and end up with triplicates. 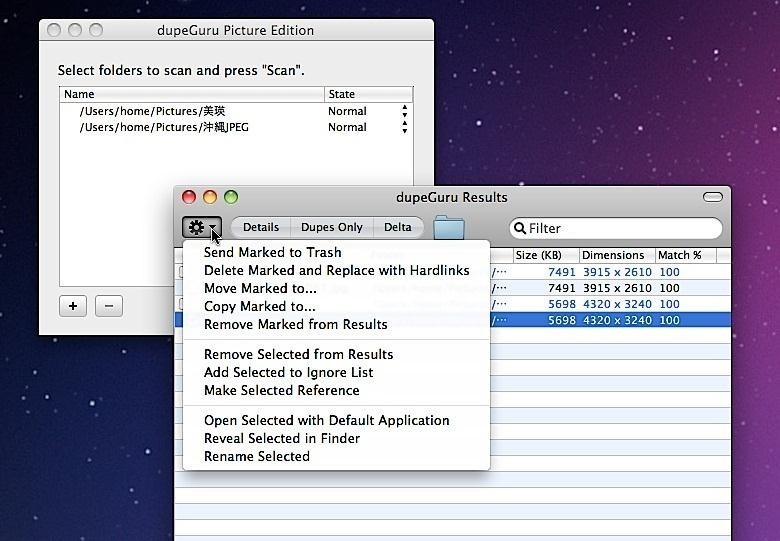 To find duplicates on your computer, you can use an application such as dupeGuru, which works on Mac, Windows, and Linux. It scans either filenames or contents and finds duplicates in folders, even when they may not be exactly the same, and you can set preferences so that it only finds duplicates of a certain type. 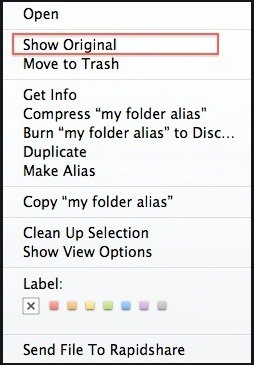 It can also help you move or copy the files somewhere else if you don't want to get rid of them. While there are many applications to find duplicate files, there are not as many out there for folders. The reason is because files tend to take up more space than folders. Also, if you find duplicate files, there's a decent chance you might find the duplicate folder that it is stored in, as well. If you tried a duplicate file finder to no avail and still need to search for duplicate folders, you can use TidyUp for Mac. Not only does it find duplicate folders, but can also find duplicate files like dupeGuru. The only problem with this application is the steep price—$30. If you know of any free alternatives, please comment below. Windows users are in luck—a free program called V Folder Dups makes it easy to get rid of all your duplicate folders. As stuff gets moved around, files can get lost and shortcuts can break. This can be very frustrating, but luckily, it's pretty easy to fix. 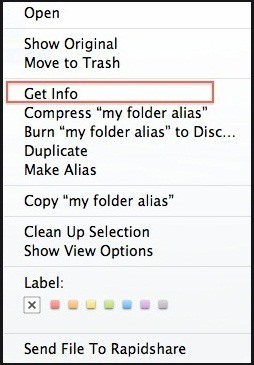 Right-click on the broken shortcut and select Show Original, which will open separately. On the same broken link, right click again and choose Get Info. From there, click Select New Original and choose the original file, which you opened earlier. 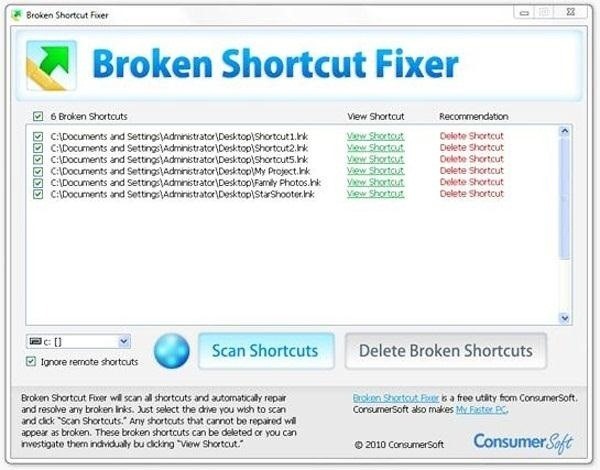 A free program called Broken Shortcut Fixer will do the same thing for Windows users. It scans all your shortcuts and automatically fixes any that are not working correctly, so it may even find a few you didn't know were broken. Any shortcuts that the program can't fix will come up in a list, where you can choose to just delete them, or investigate and see if you can't fix them yourself. Websites change, and so bookmarks can also quickly become broken. 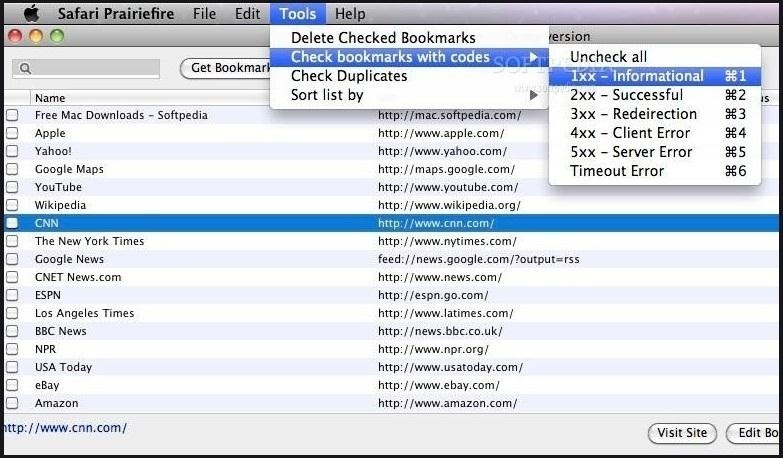 To get rid of them, you can use Prairiefire for Safari, which helps retire old/expired bookmarks and check for duplicates. Windows users can try AM Deadlink, which works for Internet Explorer, Firefox, Opera, and Chrome. Do you know of any other tricks or programs that can help solve any of these problems? Let us know in the comments below. I like this. Kudos to you. This is great. Superb work done. Kudos Moderator. I use a friendly software DuplicateFilesDeleter . It is really useful.